It's the virtual reality game that has literally taken the world by storm as people take to the streets to catch 'em all! 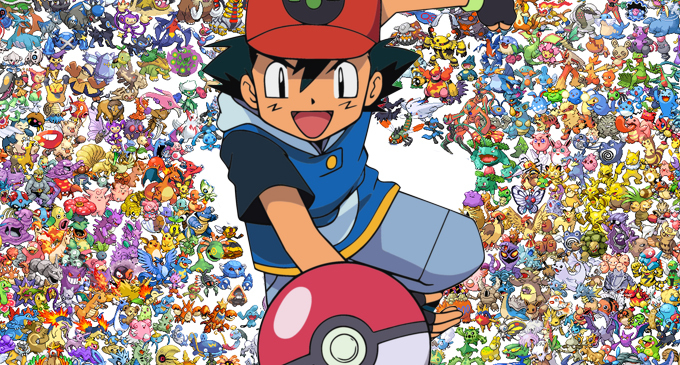 Gamers can download the Pokemon Go app on their mobile phones to track down and trade Pokemon using GPS maps, just like Ash Ketchum in the TV series, and just like we did on our Gameboy Colours. And now fans are jumping on the bandwagon and calling for a Harry Potter themed version of Pokemon Go and we're seriously hoping that J.K. Rowling gets involved and hops onto the idea. Perhaps players could track down mythical creatures, or maybe unlock spells in various locations. People could then challenge each other to duels to win House Points or maybe people could join forces to defeat the Dark Arts? -Walking around screaming expecto patronum. And then to show their desperation for the possible game!